You'll be £15.99 closer to your next £10.00 credit when you purchase The Real Enid Blyton. What's this? She is the most prolific children’s author in history, but Enid Blyton is also the most controversial. A remarkable woman who wrote hundreds of books in a career spanning forty years, even her razor sharp mind could never have predicted her enormous global audience. Now, fifty years after her death, Enid remains a phenomenon, with sales outstripping every rival. Parents and teachers lobbied against Enid’s books, complaining they were simplistic, repetitive and littered with sexist and snobbish undertones. Blatant racist slurs were particularly shockingly; foreign and working class characters were treated with a distain that horrifies modern readers. But regardless of the criticism, Enid worked until she could not physically write another word, famously producing thousands of words a day hunched over her manual typewriter. She imaged a more innocent world, where children roamed unsupervised, and problems were solved with midnight feasts or glorious picnics with lashings of ginger beer. Smugglers, thieves, spies and kidnappers were thwarted by fearless gangs who easily outwitted the police, while popular schoolgirls scored winning goals in nail-biting lacrosse matches. Enid carefully crafted her public image to ensure her fans only knew of this sunny persona, but behind the scenes, she weaved elaborate stories to conceal infidelities, betrayals and unconventional friendships, lied about her childhood and never fully recovered from her parent’s marriage collapsing. She grew up convinced that her beloved father abandoned her for someone he loved more, and few could ever measure up to her impossible standards. A complex and immature woman, Enid was plagued by insecurities and haunted by a dark past. She was prone to bursts of furious temper, yet was a shrewd businesswoman years ahead of her time. She may not have been particularly likeable, and her stories infuriatingly unimaginative, but she left a vast literary legacy to generations of children. This biography is a really fascinating read. Cohen’s biography of this popular, contentious children’s author is easy to read and follow, detailed and draws from a variety of sources, including from Blyton’s daughters, Gillian and Imogen Pollock. Having been a life-long fan of Enid Blyton’s children’s stories, I was fascinated to read more about the woman who practically invented this genre of youth fiction... 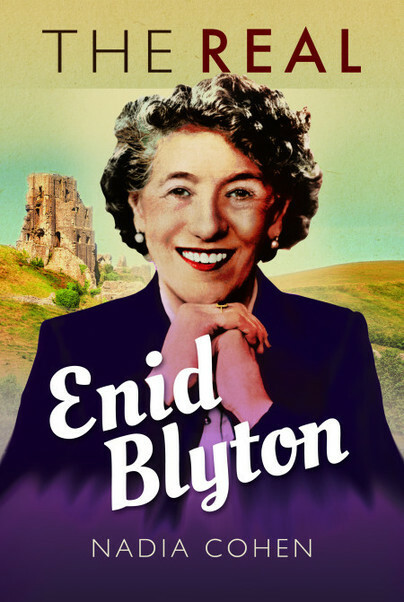 If you have ever read any of Enid Blyton’s books, or want to know more about the woman behind them, this biography will be just right for you.